We now have the door for the bread oven. A lovely old cast iron door was bought from ebay (of course), but needed a surround to fit it into place. A welder friend did this for us, and so now it is full steam ahead. 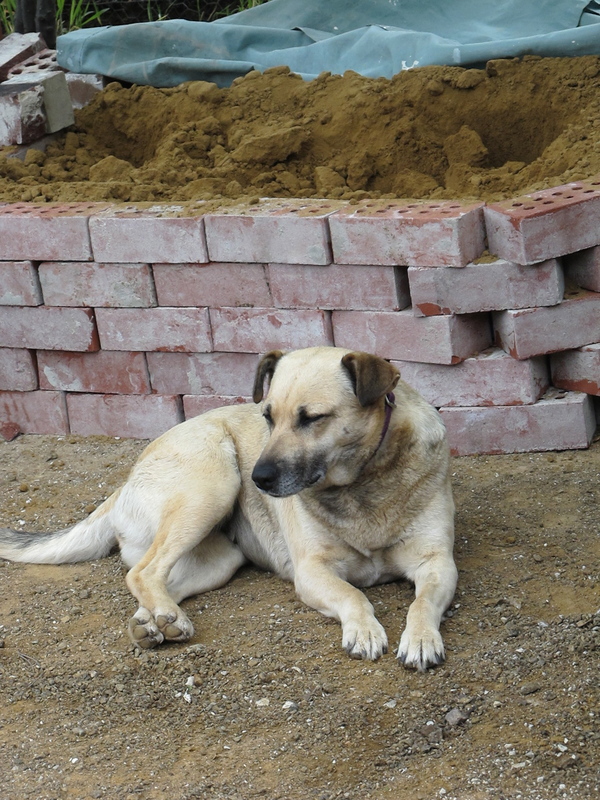 Robert is hard at work laying the outer bricks of the dome, with his constant companions Snow the dog and the ever-curious Tom supervising proceedings.